Affidabile circuito di alimentazione da 2 celle lipo per riceventi, BEC da 8Amp regolabile 5/6 votl in uscita con jumper. 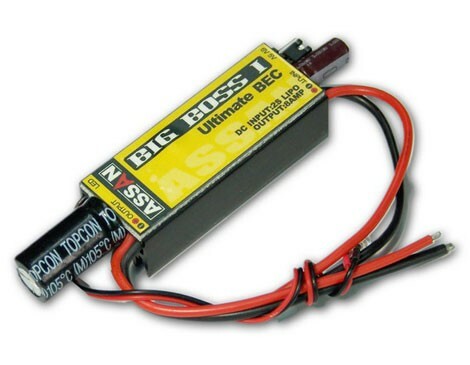 BIG BOSS is a powerful linear BEC, which means its without any interface to any instruments, such as Gyro, Receiver, and Servos. This is most important to much application in R/C.